The African low-cost airline Fastjet is on the verge of going bust and has warned shareholders it will cease trading on Friday unless it can raise more money urgently. The airline, which started operating in 2012 with the backing of easyJet’s founder, Sir Stelios Haji-Ioannou, is in discussions with major shareholders to raise more funds but admitted it had no assurance of a positive outcome. The London Stock Exchange-listed company said it “had continued to consume cash”, and from $7.5m (£5.7m) a month ago it now had just $3.3m in its reserves – more than half of which is locked up in Zimbabwe. In a notice to investors, Fastjet said it was “at risk of not being able to continue trading as a going concern”. Fastjet launched in Tanzania with an ambition to become a pan-African low-cost carrier, but it has struggled throughout with problems including the continent’s banking infrastructure, overambitious plane orders and office costs. Its shares plummeted a further 70% on Wednesday on the news, leaving them at just £3.70 – less than 0.1% of their price five years ago – valuing the company at just over £19m. 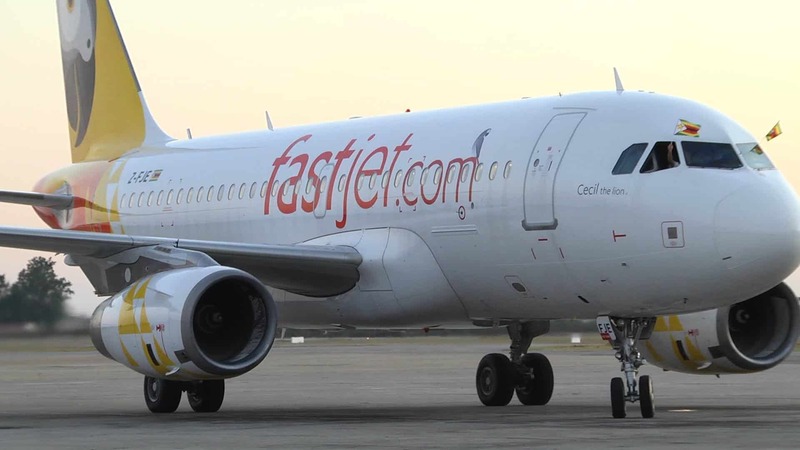 Haji-Ioannou, who owned the Fastjet brand until last year, fell out with the company’s management in 2016 and demanded wholesale changes, including the removal of the chief executive, Ed Winter, and the relocation of its headquarters from the UK to Africa to cut costs. He said: “Naturally I am very disappointed at this news. It had been my hope to see safe, low-cost air travel thrive in Africa as elsewhere. However, I have been increasingly concerned over the last few years at the way Fastjet was being run, first by Ed Winter and his team and now by Nico Bezuidenhout. The airline has expanded into South Africa, Zimbabwe, Zambia and Mozambique. But it has never carried more than a million passengers a year, now operating just four small Embraer aircraft, having ditched Airbus A319s that they were failing to fill.